At the end of a long journey of writing, editing, publishing, and everything else in between, there it is: your book on a real-deal bookstore shelf. As if a light is shining down on it and angels are singing, you feel you’ve arrived in the literary world as an author. For some, it simply doesn’t feel right to call ourselves author until our book sits on a shelf for people to hold, flip through, and buy. Sure, there’s the digital shelf, but let’s face it: Online retailers are great, but they just aren’t the same. Now, if you’re a self-publishing author, you may be asking yourself: Is this glorious outcome of penning and publishing a book just a pipe dream? While it’s true that with no regulation on self-published books, a store like Barnes & Noble won’t scoop up your title just because you’ve paid for expanded distribution and made it available to bookstores. What can happen, however, is if enough people request your book at B&N, for example, they’ll definitely consider bringing it in if it has an appropriate discount set up for a bookstore AND if it has a publisher-assigned ISBN. 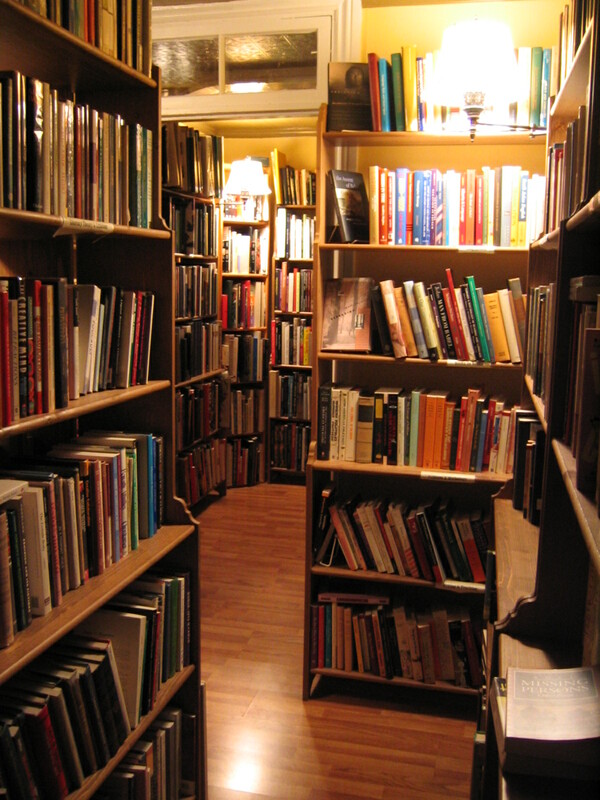 In brief, bookstores typically expect to acquire a book for 50-55% off the list price. So if the list price is $20 and the discount is 50%, they’ll get the book for $10 from the distributor. For a self-pub book, the difference between the $10 they paid and the cost to produce your book (usually between $2 and $5, depending on the length) is the royalty that goes to you. There are self-pub companies, such as CreateSpace, that will assign you a free ISBN. Don’t be tempted to do this! This CS-assigned ISBN forever ties your title to them as your publisher, which is a loud horn that you’re self-published. While you may have taken every other step to produce your book professionally, this is actually a flag that gives the impression you didn’t. Some may disagree with me here, but I’ve heard enough around the water cooler to know this is true in many circles. Always buy your own ISBNs through Bowker (www.myidentifiers.com), the definitive source for ISBNs for authors and publishers. They’re not cheap—one for $125 or ten for $250 (the best deal by far), but you can name your “publisher,” and that name will be tied to your book, not CreateSpace. Some authors even set up a “publishing house” as a legitimate business, even though they’re only publishing their own books. Either way is acceptable—it’s totally up to you. So is that all it takes to get into a bookstore—the proper discount setup and a Bowker-assigned ISBN? For a big chain like B&N, with enough requests from customers to bring in the book, they are certainly apt to give it a try. But what about independent bookstores? you may be asking. What’s their stance on self-pub books? Photo: Anchor Books and Coffee, Whidbey Island, Clinton, WA. The first point is a no-brainer: I don’t want to sound harsh here, but the truth is that if you don’t hire the appropriate professionals (editor, cover and interior designer, writer for marketing materials) to produce your book, it probably doesn’t merit space on a bookstore shelf, and therefore won't have an opportunity to be there. 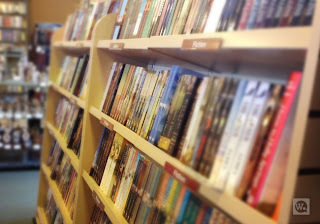 On the second point, if you’re getting your books at cost through your distributor, you should have no problem directly offering the bookstore the expected 50–55% discount—unless, that is, you’ve produced a full-color book that may have a high cost to you as well, preventing you from offering the expected discount (this is the case for some authors with specialty books). And on the last point … Though not every bookstore owner may share this opinion, I know it does prevail: Amazon is systematically destroying independent bookstores, so it’s not surprising that many of them would refuse to carry books that have been produced through Amazon’s self-pub wing of CreateSpace (this issue doesn’t apply with Lightning Source, the other predominant POD option—more on that in a moment). I know of at least one local bookstore who has refused several local authors shelf space precisely because they did their books through CS. Understandable ... but ... ouch! So why is it different if you publish through Lightning Source? Although LS includes Amazon and many others in its circle of distribution partners, its prime affiliation is with Ingram, the largest distributor of physical and digital content in the world. Independent bookstores regularly acquire books through Ingram, so there’s no conflict there with where and how the books were produced. Ingram doesn’t sell books directly to consumers at cut rates the way Amazon does—effectively slicing out the bookstore as a seller of list-price books—so the ouch factor for a smaller bookstore simply doesn’t exist. And what about other self-pub companies? Those that offer self-publishing packages and services, such as Lulu, She Writes, Dog Ear, and others, use varied means for the actual publishing end. Be sure to inquire which they rely on before you enter into any agreements with them—it's crucial to know the behind-the-scenes of how your book will be printed and distributed! She approached a local bookstore owner and asked if he’d be willing to carry her novel. He was nice but reluctant, expressing he couldn’t get the book through one of his distributors at his discount. She offered him the book at the expected cost, straight from her. He couldn’t refute that, so he then said the book would have to be superior quality to be in the store (clearly, he was doubtful a self-pub book could be) and asked if she had a copy. She did (of course!) and handed it to him. He was pleasantly surprised by the cover, stating he didn’t expect it to look as professionally produced as a book from a traditional house (I was thrilled when she told me this!). He flipped through, continued to be impressed with the book’s interior, and expressed that the book admittedly exceeded what he expected a self-pub to look like (and he never asked about CreateSpace, so we assume he had no issue with that—she also had her own ISBN). The result? Her book is in the fiction department nestled between big house books … and no one would ever guess it was a self-pub! Bonus: The bookstore owner has allowed her (and other local authors) to have a book signing in the store ... How cool is that? Set up (if possible) the appropriate discount for distribution partners (CS does this automatically at 40% for Amazon and 60% for expanded distribution; LS allows you to manually set it between 20% and 55%). Remember: Most stores won’t bring in a book without a minimum discount of 50-55%; some exceptions, of course, apply. Been mindful of the publishing solution you chose: CreateSpace is a great option for many reasons, but most bookstore owners aren’t fans, so it’s something to keep in mind, depending upon your priorities and wishes. Here's to shelf space for your labor of love—if that's your dream—and if you found this article helpful to you as a self-publishing writer, I’d be most grateful if you’d “like” and share it with the easy-peasy buttons on Facebook, Twitter, and/or LinkedIn. Thanks ever so much! Stay tuned for my next post, where I'll share some insider tips on connecting with local media—it's valuable guidance taken right from a webinar I did with a local Features Editor who knows her stuff! You won't want to miss it! In the meantime, I wish you love and all best wishes on your self-publishing journey! Visit me at www.thebookdoctorisin.com and enter your name and email at the top right of any page of my site to receive my Top 10 Mistakes Self-Publishing Authors Make … And How YOU Can Avoid Them. It's a super free gift from me to you!